The Coens themselves have fared much better on the high lonesome, with their 2010 adaptation of the Charles Portis novel “True Grit” outgrossing its closest rival in their filmography (the modern-day Western “No Country For Old Men”) by $100 million — yet, for the most part, the horse opera genre has largely ceded cineplexes to the CGI franchise universe while establishing a secure new home on a range of cable channels from HBO’s “Deadwood” and “Westworld” to AMC’s “Broken Trail” and, of course, the snowier plains of Noah Hawley’s serialized “Fargo” on FX). Now, staking a jackpot claim for streaming services, Netflix has lured the Coens into the world of both digital and televised entertainment for the first time in their careers as writer/directors, a relatively organic progression given the ongoing cross-pollination of art house fare and “Peak TV” in the modern media landscape. 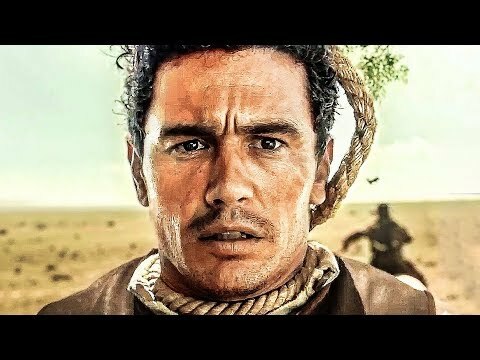 Yet despite its smaller screen aspirations, does “The Ballad of Buster Scruggs” still deliver that “Barton Fink feeling”? The answer is both yes and no — which is certainly not meant as a knock against a film that remains consistently enthralling across the entirety of its fast-paced 132 minutes. 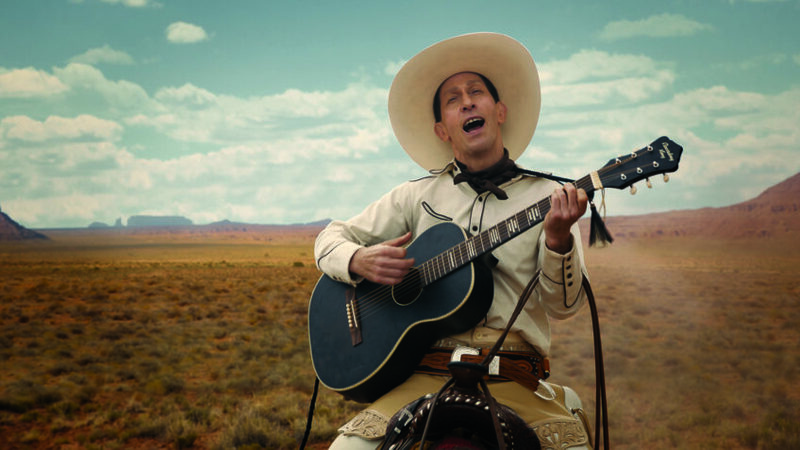 And, indeed, the Coens’ signature film brat style is there in full effect from the opening moments as Tim Blake Nelson rides into view clad in lily-white duds a-strummin’ a geetar as the titular singing cowboy. But “Scruggs” is nevertheless a collection of tonally diverse tapas rather than a full narrative meal, and so while none of the characters wear out their welcome, they likewise don’t stick around long enough to register as strongly as, say, Frances McDormand’s Marge Gunderson or Javier Bardem’s Anton Chigurh. There’s likewise no unifying theme connecting the stories (except, perhaps, how nasty, brutish, and short life in the Old West could be) and there’s a very un-Roger Deakins-esque flatness to the digital photography (by Bruno Delbonnel) which makes even the most beautiful frontier landscapes seem like something out of a 1970s nature special. Yet each of the ballad’s half dozen chapters effectively succeeds on its own terms thanks to the Coens’ deadeye knack for plot and dialogue, humor and foreboding, the unexpected detail and the cruel twist of irony. Nelson’s segment kicks things off at a gallop, followed by Stephen Root upstaging the bejesus out of James Franco, a haunting sideshow tale, and two dramas of strangers on perilous journeys, each simmering with its own distinctive flavor of dread in the styles of McMurtry and Poe, respectively. But the standout of the sextet, directly inspired by the Jack London story “All Gold Canyon,” is a tiny masterpiece of filmmaking — and especially casting, with Tom Waits in the grizzled old prospector role he’s basically spent a lifetime preparing to play. And just as a quick postscript for the DoesTheDogDie.com set (whose blood pressure is sure to spike upon the first appearance of Zoe Kazan’s adorable terrier, President Pierce, in “Scruggs”‘s wagon train chapter, “The Gal Who Got Rattled”), have no fear: though several horses meet a bad end in one battle scene, the rest of the film’s graphic onscreen violence is strictly of the two-legged variety.